Update, Nov. 2, 2015: Voters may be puzzled to learn that there is no ballot argument in favor of Proposition G. That’s due to a set of unusual circumstances surrounding competing measures G and H.
In July, IBEW Local 1245 -- the Pacific Gas & Electric Co. electrical workers' union behind Proposition G -- reached a deal with San Francisco Board of Supervisors President London Breed to support H and abandon support for G. The agreement was finalized after the union had already gathered enough voter signatures to place G on the ballot (see original post below). Both measures relate to the same subject: Precisely what sources of power may be termed renewable or “green” for San Francisco’s planned CleanPowerSF program, and what disclosures the program will make to consumers about where it gets its electricity. Scheduled to launch in early 2016, CleanPowerSF aims to offer city residents a greener energy mix than currently available through Pacific Gas & Electric Co., which relies heavily on natural gas and nuclear energy sources. Similar programs, created under a structure known as Community Choice Aggregation, are already in operation in Marin and Sonoma counties. Proponents of CleanPowerSF, including both moderates and progressives on the Board of Supervisors, attacked Prop. G as a tactic designed to undermine the new alternative power program. That led to them to craft Prop. H, which would allow the city to use the state’s definition of renewable energy sources any time it officially uses terms like “clean energy” or “green energy.” By using the state’s definition, CleanPowerSF may take advantage of unbundled renewable energy credits. Here’s the twist: Confronted with Proposition H, the backers of Proposition G reconsidered. They agreed to abandon Prop. G in exchange for a compromise: The Prop. H authors, led by Supervisor London Breed, would include provisions: a) requiring the city to try to limit the use of the unbundled renewable energy credits for CleanPowerSF; and b) urging the city to inform consumers of the composition of CleanPowerSF’s energy portfolio in upcoming mailings. With that deal in place, IBEW 1245 joined Breed, Mayor Ed Lee and most of the Board of Supervisors in support of Prop. H and against Prop. G.
Prop. H will go into effect if it gets more than 50 percent of the vote, and garners more votes than Prop. G.
Original Post, July 7, 2015: The proponent of a proposed San Francisco ballot measure targeting the city’s municipal green-power program turned in some 17,000 signatures at the San Francisco Department of Elections Monday, setting the stage for a November ballot battle. The San Francisco Renewable Energy Truth in Advertising Act seeks to limit how the San Francisco Public Utilities Commission can describe the energy mix offered in its nascent municipal green-energy program. If passed, the SFPUC would be prohibited from labeling electricity sold through its CleanPowerSF program as “clean,” “green” or “greenhouse-gas free” in marketing materials, unless that electricity is “derived exclusively from renewable resources” generated within California, or from the city-owned Hetch Hetchy hydropower facility. “We want to make (sure) the program is honest and clear to consumers,” said proponent Hunter Stern, business representative of IBEW 1245, a union that represents Pacific Gas & Electric Co. electrical workers. "The main purpose is simply so that San Franciscans who could be enrolled in a new energy program as soon as the end of this year will be sure to have information about the source, and greenness, of the electricity" they're getting. Jason Fried, executive officer of the city's Local Agency Formation Commission (LAFCo), which has worked with the SFPUC to advance CleanPowerSF, said the IBEW-sponsored measure would actually make things more confusing for energy customers. “If you wanted to compare apples to apples, you’re no longer able to do that,” Fried said. And in a press release issued Monday afternoon, environmental activists who have pushed for implementation of the green energy program said this measure would set a double standard in advertising to give PG&E a marketing advantage once it's competing with the SFPUC for energy customers. Environmentalists described the IBEW-backed measure as "a thinly veiled attempt to kill" CleanPowerSF. "Voters have seen through previous attempts to preserve California's dirty energy monopoly, just as they will see through this disingenuous measure," said Michelle Myers, director of the Sierra Club San Francisco Bay Chapter. To date, San Francisco customers haven’t powered a single lightbulb with CleanPowerSF electricity because the program has yet to launch. Designed under a Community Choice Aggregation (CCA) model -- which entrusts the SFPUC with buying and selling power, while leaving transmission, billing and grid-operation duties to PG&E -- the municipal system aims to offer a greener power mix than PG&E, at or below the same rates. Under the program structure, customers will be automatically transferred from PG&E to CleanPowerSF unless they opt out. And in the near-decade that CleanPowerSF has been moving forward, both PG&E and IBEW have engaged in efforts to halt its progress. Stern insisted in an interview with KQED News that contrary to popular belief, his union isn’t seeking to kill CleanPowerSF. “If we wanted to kill it, we would have proposed an opt-in requirement,” he said. He added that IBEW 1245 had drafted, but ultimately decided not to circulate, such a measure. That change of heart came about because “we support the mayor in his ... commitment to this program,” Stern said. San Francisco Mayor Ed Lee initially opposed CleanPowerSF. In August 2013, Lee’s appointees on the SFPUC effectively blocked it from moving forward, a move that sent program supporters back to the drawing board for an overhaul. Earlier this year, however, at a January press conference with San Francisco Board of Supervisors President London Breed, Lee announced his support for the revised version of CleanPowerSF. Shortly before Lee’s announcement, consulting firm EnerNex released a hefty green-energy road map commissioned by LAFCo outlining how CleanPowerSF could create more than 8,100 construction jobs with $2.4 billion worth of solar, wind and geothermal projects. Environmentalists envision this renewable build-out as a long-term strategy for transitioning San Francisco away from fossil fuels and sheltering customers from future energy-market volatility. But program backers say that in order to steer the SFPUC into a financial position to break ground on those construction projects, flexibility in energy purchases is needed early on. Under a previous plan, the SFPUC planned to meet its green-energy targets with a higher percentage of renewable-energy certificates, better known as RECs, which can be purchased to offset energy sent to customers that doesn’t comply with the state’s renewable-portfolio standard. The RECs would have been integrated as a way of “greening” a base-load of hydropower, which is not considered to be as green as wind or solar but nevertheless counts as greenhouse-gas free, Fried said. Stern said the use of RECs, which are partially integrated by a similar program in Marin, is a central concern for IBEW. “If you use RECs you’re not investing in renewable energy, you’re buying these certificates,” Stern said, adding that his union views RECs as a “gimmick” and a "greenwashing" practice that does nothing to spur in-state renewable energy development and lends zero support to union jobs. Hypothetically speaking, if the SFPUC were to offer the exact same energy mix as PG&E, Fried said, the proposed measure would create a situation where PG&E would legally be able to label 54 percent of its power as “green” and “greenhouse-gas free,” while the SFPUC would be limited to claiming only 22 percent. Fried said the city has ditched plans that were more heavily reliant on RECs and now seeks to offer a base product of 33 to 50 percent state-certified renewable power, with much of the remainder derived from the city’s Hetch Hetchy hydropower system. A greener option, offered at a premium, would provide customers with 100 percent renewable power. 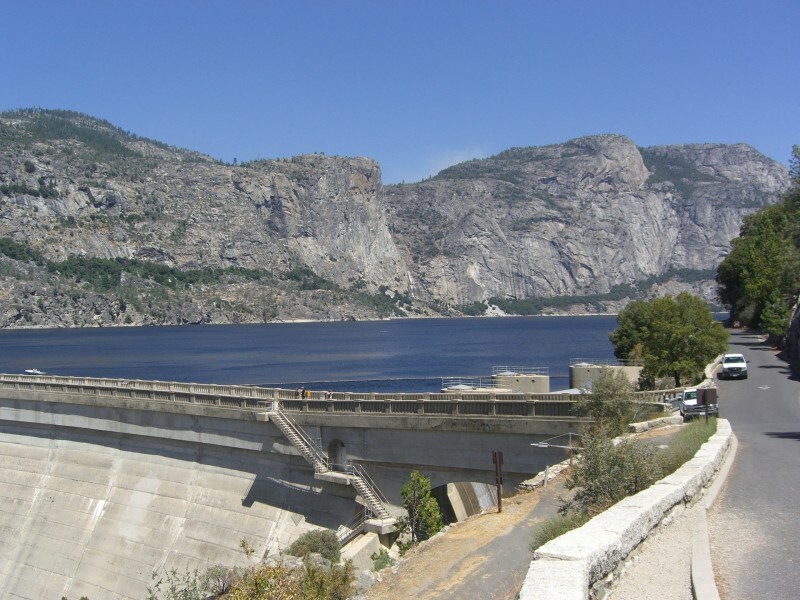 But in emergency situations, such as if a wildfire limited the city's ability to draw power from Hetch Hetchy, the city would still need that flexibility in power purchasing and might have to turn to RECs, according to Fried. PG&E’s power mix in 2013 was made up of 28 percent natural gas, 22 percent nuclear, 10 percent large hydro, 22 percent renewable and 18 percent “unspecified.” Environmentalists who support CleanPowerSF also pointed out that PG&E uses the same RECs that the measure's backers oppose. Records show Stern has joined forces with PG&E before to take aim at CCA programs. “PG&E did not provide financial support to Hunter Stern for such efforts, but PG&E staff members and [REDACTED] attended public meetings with Hunter Stern with the goal of marketing or lobbying against CCA proposals,” the utility disclosed in a formal document submitted in April 2014 to the California Public Utilities Commission, in response to a series of questions raised about its activities targeting a similar municipal power initiative in Marin County. The document said these efforts halted in 2010. PG&E also confirmed it had provided “financial and staff support” to the San Francisco Common Sense Coalition, a group that formed in 2010 to oppose an earlier iteration of CleanPowerSF. In response to the IBEW ballot measure, four members of the San Francisco Board of Supervisors -- London Breed, John Avalos, Scott Wiener and Julie Christensen -- have drafted their own countermeasure to be placed on the ballot. It would require "green," "clean" and "greenhouse-gas free" to be defined in accordance with definitions of eligible renewable resources under state law. And it would cancel out the measure backed by IBEW if it wins more votes. The measure would also prevent PG&E from labeling its nuclear power as "green" or "greenhouse-gas free." Stern emphasized that the supervisors' measure “reinforces that RECs are okay.” He added that it "potentially could legally allow CleanPowerSF to provide dirtier energy than the energy it's replacing" with RECs. Board president Breed introduced the countermeasure, titled the Clean Energy Right to Know Act, at the June 16 Board of Supervisors meeting. “After over a dozen years of PG&E standing in the way of cleaner energy, we are finally, finally launching a clean-power program in San Francisco,” she said. “Consumers will finally have a choice about who provides their electricity. And in making that choice, we should be confident that words like ‘clean’ and ‘green’ are not just PG&E marketing terms.